What's the measure of a movie? Is it box office sales, durability, novelty, excellence in storytelling, or something intangible like a feeling...or a sense of 'art' ? Perhaps it's all of those things, though sometimes it's none at all. 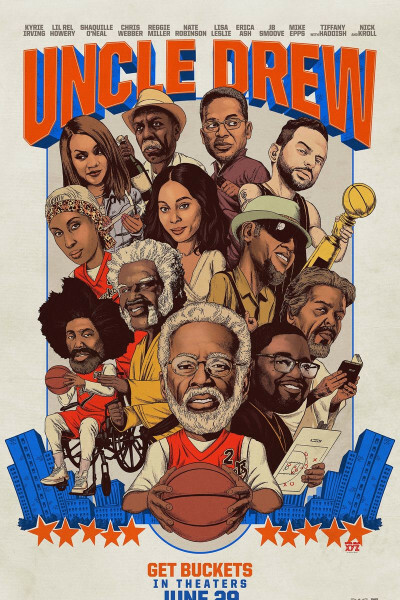 In the case of Uncle Drew, it's a 24-teeth salute; a goofy grin I couldn't hold back, dozens of hyena-level belly laughs, three scenes that left me in tears, and a predictable yet nonetheless rewarding ending that includes the proverbial shot at redemption vis-à-vis Cinderella-like second chances. Is Uncle Drew a great movie? Nope. A good movie? Probably not even. But did I inexplicably love it and relish the the whole dang thing? You betcha, my friend. You betcha.